In a 6-2 decision, the Court prohibited the government from requiring organizations to espouse specific ideas in order to receive funding. In an important victory for First Amendment rights, the Supreme Court today recognized that free speech in the era of big government requires more protection than a mere prohibition on direct suppression of speech. Governments can effectively silence disfavored ideas not only by directly prohibiting their expression, but also by hinging access to government benefits on conditions that prohibit or require espousal of specific ideas. In Agency for International Development v. Alliance for Open Society, the Supreme Court held that Congress violated the First Amendment when it required providers of AIDS services, as a condition of government funding, to profess their opposition to prostitution. The decision is critically important because in the modern era, virtually every forum of public speech is funded in some way by the government, so if the government could control speech as a condition of its financial support, the marketplace of ideas could easily be transformed into a marketplace of officially approved ideas. The Obama administration, defending the statute, argued that the requirement that recipients profess their opposition to prostitution did not violate the First Amendment because it did not prohibit or coerce any speech at all. Any group that objected to adopting such a policy, the administration argued, could simply not seek federal funding in the first place. Justices Antonin Scalia and Clarence Thomas agreed with this view, expressing doubt that funding conditions could ever violate the First Amendment so long as they were relevant in some way to the program. But importantly for the vitality of free speech, only Scalia and Thomas took that view. Chief Justice John Roberts wrote the opinion for the majority, joined by Justices Samuel Alito, Anthony Kennedy, Ruth Bader Ginsburg, Stephen Breyer and Sonia Sotomayor. (Justice Elena Kagan was recused.) The majority took the view that funding conditions violate the First Amendment when they go beyond defining how government funds can be used, and instead impose restrictions on what the recipient of the funding can say with its own resources and on its own time. The requirement that an organization adopt as its policy the government’s belief crosses that line, because it seeks to control the recipient’s own speech and ideas, and not merely what can be done with the government’s funds. Thus, Congress was free to require that its funds not be used for the promotion of prostitution, but it could not go further and require all funding recipients to profess a belief in opposition to prostitution. The Obama administration argued that the distinction between permissible restrictions on how government funds are actually spent and impermissible restrictions on recipients makes no sense because money is fungible. If a recipient took the government’s funds and abided by its mandate not to use them to promote prostitution, but at the same time used private funds to do exactly that, the government contended, the federal funds could be seen as “freeing up” private resources to advocate in favor of prostitution. The Court rightly rejected that argument as proving too much. If one accepted that view, there would be no restriction on the government’s ability to control all of an entity’s speech simply by funding one part of what the entity does. The Court held that it will not assume that federal funding subsidizes private speech, and instead suggested that the government must actually prove that the recipient is funneling the federal funds toward impermissible activities. The principle that even government funding must honor First Amendment freedoms is essential to a robust exchange of ideas. Virtually every area of important communication today is supported by government subsidies. The print media receive subsidized mailing rates; radio and television broadcasters receive a subsidy in access to the public airwaves; nonprofit organizations receive a tax subsidy by virtue of their tax-exempt status; public universities receive taxpayer dollars; and virtually all private universities also receive significant government support in the form of grants, fellowships and scholarships. Indeed, it is difficult to identify a single forum of public debate that is not subsidized in some way by public funds. If Scalia and Thomas’s view were accepted, and the government were free to demand professions of belief in specific government viewpoints as a condition of access to public funding, free speech would be easily bought off. The Court’s decision in Alliance for Open Society, by recognizing that the state can censor with its purse as well as its sword, and ruling that funding conditions must adhere to First Amendment limits, will help ensure the continued viability of freedom of speech in our increasingly interdependent public-private world. 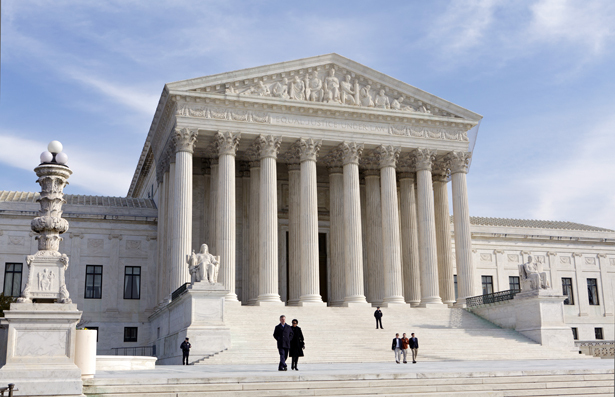 Read Melissa Gira Grant's take on the impact the Supreme Court decision will have on organizations fighting HIV/AIDS internationally.